We're in the middle of summer, and even though we've had some abnormal weather this season, there are still a few keys to keeping your hair healthy in the warmer months. Some of these things are easier than you think and can make the difference in healthy locks. Here are a few quick tips. Summer is the perfect time to air dry your hair. Not only is it not too cold for being outside with wet hair, but the warm temperatures will help it dry faster. This method also gives your hair a break from blow drying, which can damage your hair if used too often. Of course, every style does not look good wet, and neat wet hair is important--but, air drying in some styles can ultimately prep it for the style you ultimately want. Air drying is perfect for waves or curls without heat. Take advantage before winter hits. Warm weather is helpful for drying your hair after washing, but it can also make your hair too dry. This isn't good. Even if you condition in your shampoo routine, be sure to also keep other forms of conditioning in your regime. This is especially important for color-treated hair. 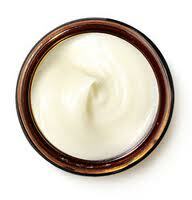 Argan oil, coconut oil, and hair butters are good for keeping your hair protected. Simply because of the activities you're more likely to partake in over the summer, you have to make washing a priority. Sand is healthy hair's enemy; sweat, too. Depending on where you live, summer might also be construction season, so who knows what kind of dust could be flying into your tresses. Your hair will let you know when it needs to be washed. Listen! Who doesn't love their hair blowing in the wind, right? But, like getting your hair caught on your coat in the winter, you have to be careful about your flowing hair in the summer, too. 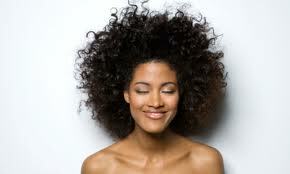 Wearing it up as much as you can (without compromising your style, obviously) is helpful to protect your ends. Split ends are inevitable, but keeping your hair up at least reduces the damage. It also helps keep you cool! Massaging your scalp helps keep your new hairs healthy, and also spurs growth. A quick massage of your scalp in the morning or before bed can go along way. We've shared a list of foods to eat for healthy hair with you before, and the recommendations still stand in the summer. Water is good for so many reasons, but yogurt and blueberries are just a couple other foods helping make hair healthy. They're also tasty summer treats. We hope these tips are helpful to you and your healthy locks!